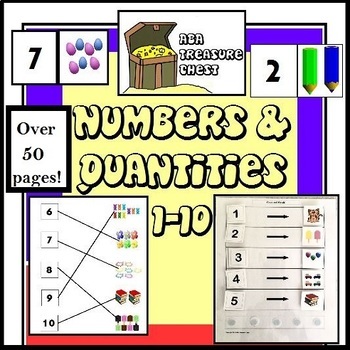 This resource contains what you need to teach numbers and quantities 1-10 ! 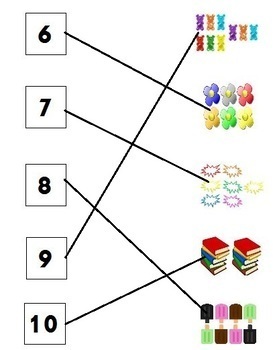 There are 36 match number to quantity worksheets that increase in difficulty. Half are in color, and half in black and white. Also included are two Count and Match sheets for you to make by laminating and placing Velcro on the spots provided. This sheet can be used with the numbers included number cards in 4 different fonts, color quantity pictures (76) and black and white quantity pictures (76.) This is especially useful for those learners who do not yet write. 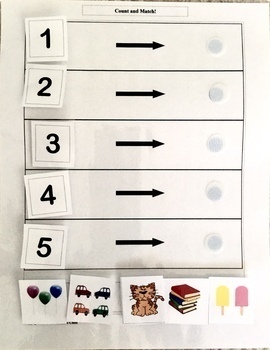 Please see the photos in the thumbnails and the preview for this fun activity that you can also use as independent work. 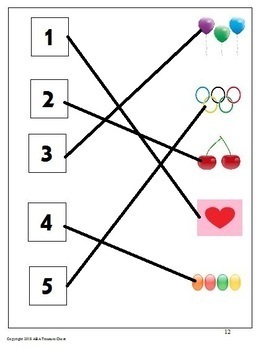 There are also suggestions for other activities to do with these materials. This resource can also be used to help address ABLLS-R R-8. Over 50 pages! Have fun teaching! You May: Save this product to your personal/Computer files, Use for personal, single classroom or home school, Make copies for your own students, Share the cover page or link to this product site on social media. Purchase additional licenses at a discount cost. You May Not: Share the actual digital or paper product via copying, email, clouds, or any other device or manner with anyone other than the original purchaser, place this product on any site for public download, claim any or all of this product as your own work or resell any part of all of this product.